Laurie R. King has a series of books about Sherlock Holmes and his wife Mary Russell as they solve various mysteries. I read the latest one (review coming soon – closer to Pub Day in February) last week and just loved it! If you know me, you know I’m a HUGE Holmes fan, and I really liked the addition of a younger, intelligent wife to his story. DREAMING SPIES is the title of the upcoming novel (a take, I believe, on “dreaming spires of Oxford” as the story takes place in part there). Random House is hosting a fabu giveaway of a mini iPad with ALL Laurie’s books loaded onto it, included this latest title. There are other prizes as well! 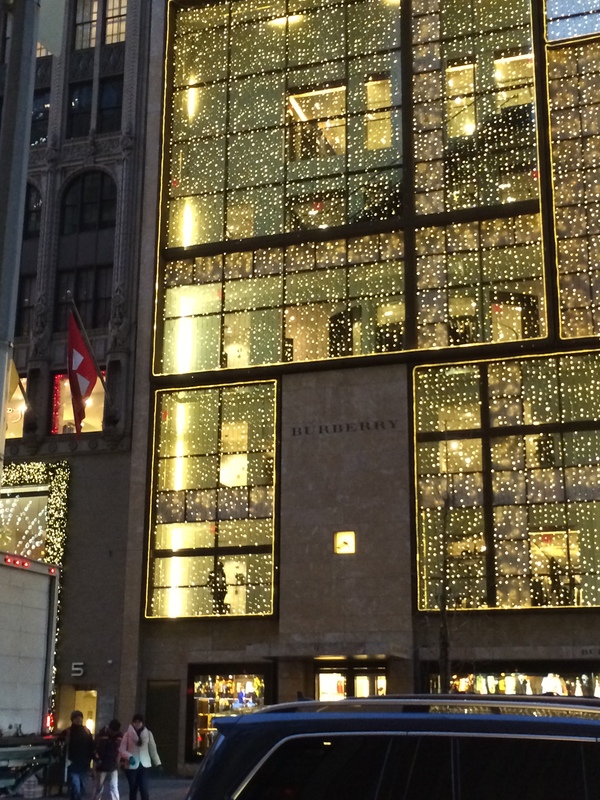 Saturday Snapshot: A Few More from NYC! The decorations are amazing at this time of year! 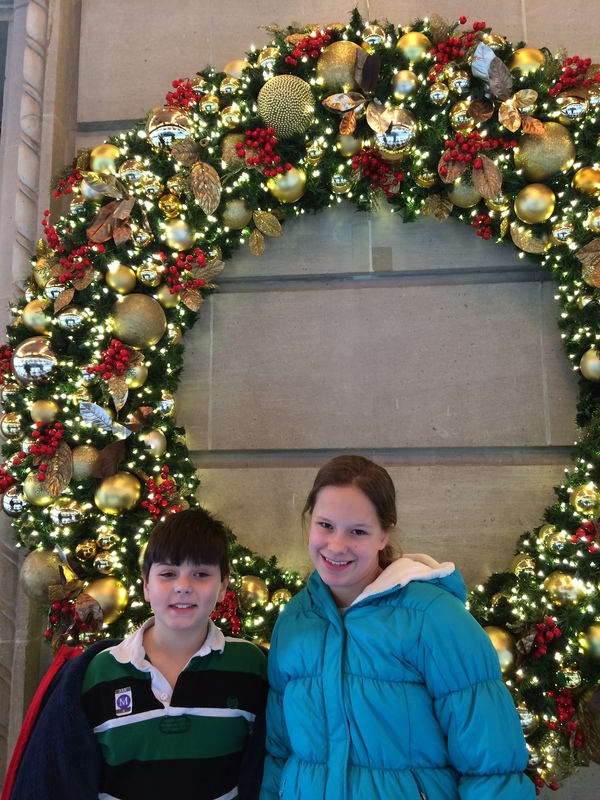 Here are the kids standing by a random beautiful wreath! 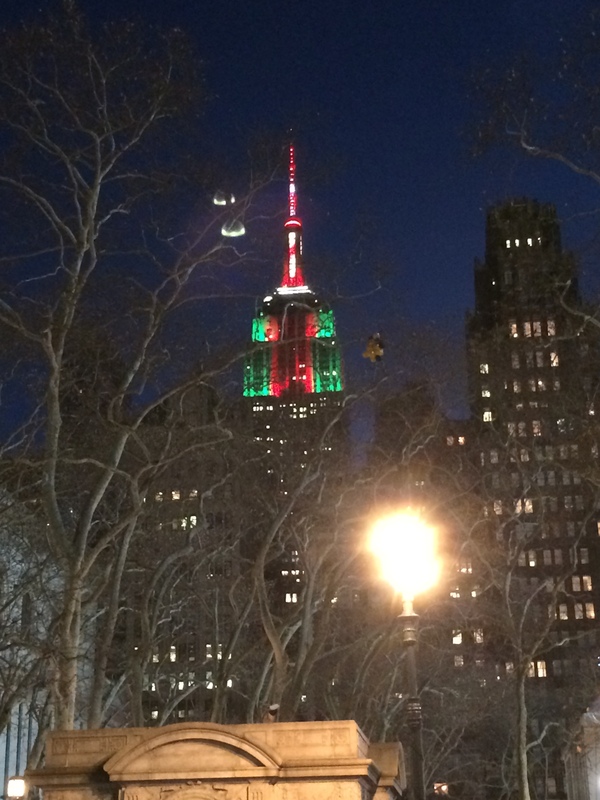 Here’s the Empire State Building all lit up at night! 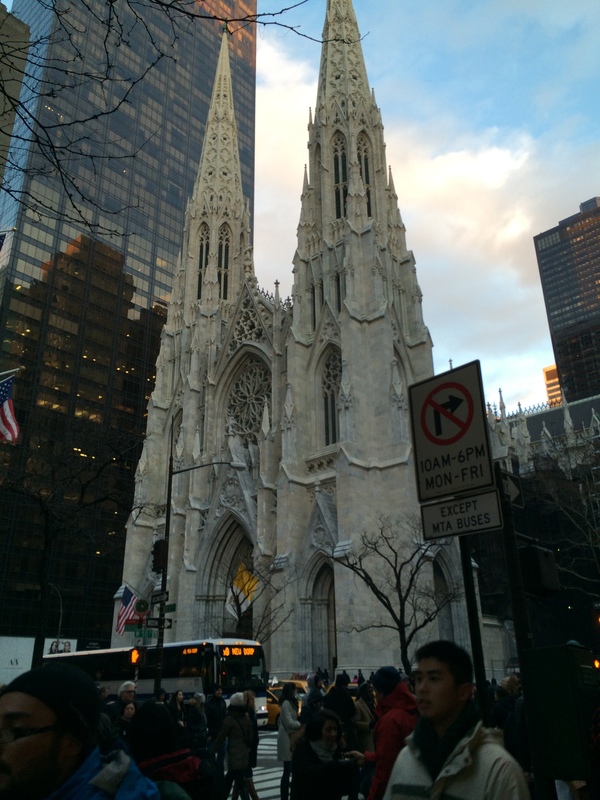 We always to go to Mass at St. Patrick’s Cathedral – here’s the kreche – almost lifesize – at St. Pat’s. 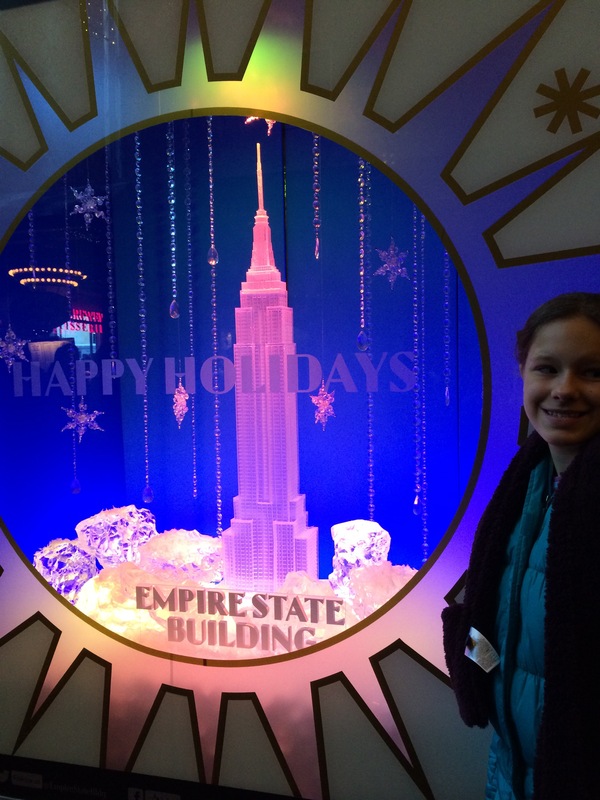 The Empire State Building had a whole lot of great displays for the holidays! 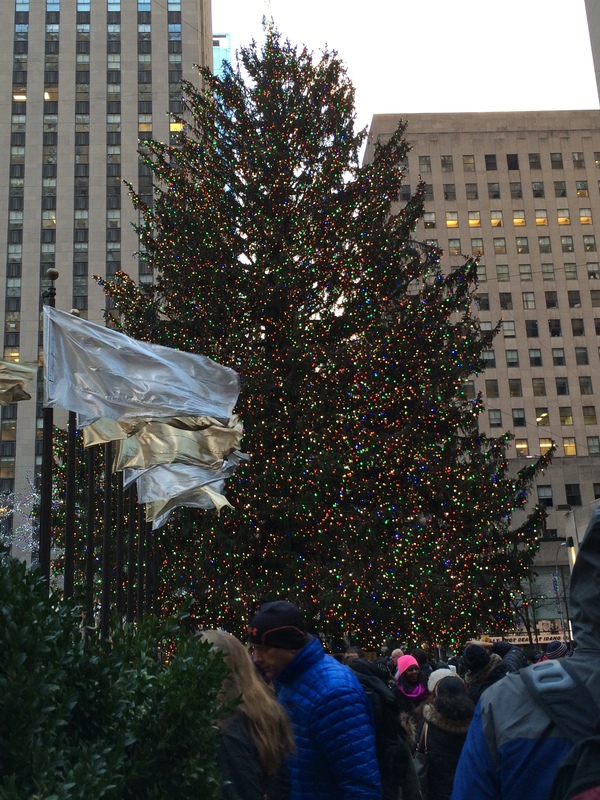 The infamous tree at Rockefeller Center! Speaking of St. Pat’s — it has been under reconstruction for a while — looking good, but still a long way to go! Check her site for participation details! 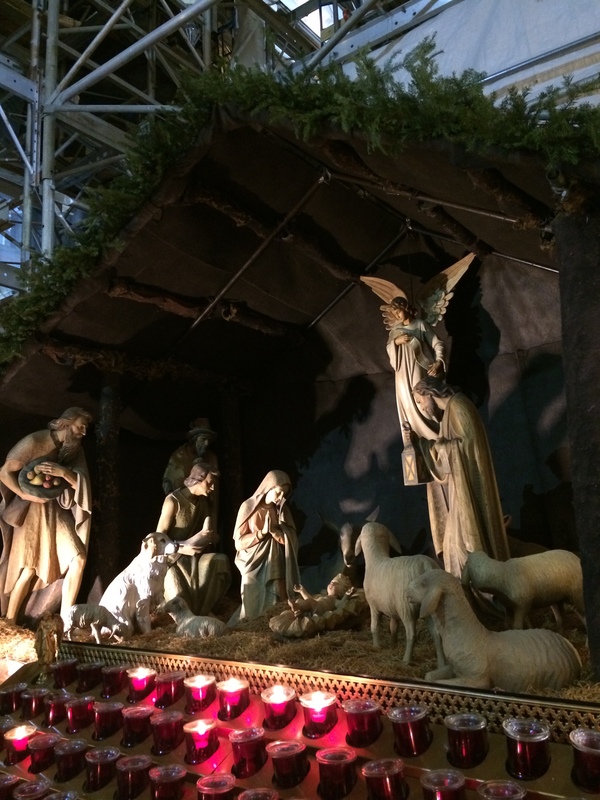 With all the excitement of New Year’s Eve and our visit with family and to NYC, I almost forgot to post a review of what happened on here in December! a few Saturday Snapshots, a Kindle deal, and the First Book of the Year Reading Challenge (The Mapmaker’s Children by the incomparable Sarah McCoy), along with my angst over “broken” images on my blog! 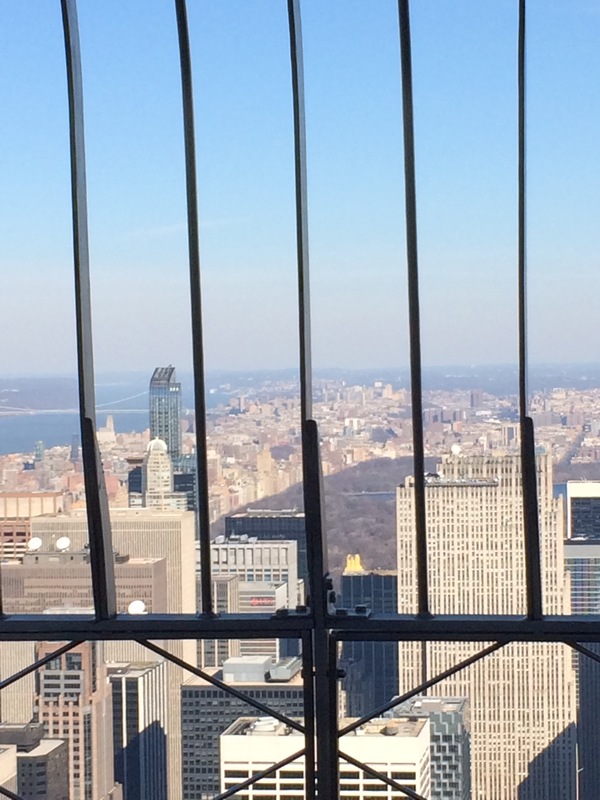 This week we spent a few days in NYC. If you know me, you know we love NY and go several times a year. As I am using my phone app for WordPress, I have to add all the pictures at the end of this post (or I delete them). Probably a glitch with me and not the program!! 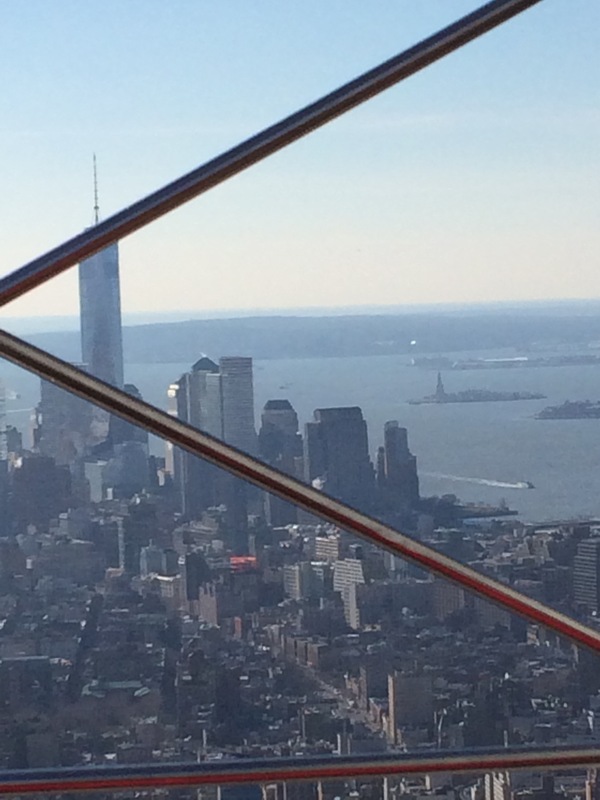 First, here’s some shots from the Empire State Building. I hadn’t been up it since I was a little girl. We got the Express Pass and it was SO worth it – just like a fast pass at Disney! It was a beautifully clear!! 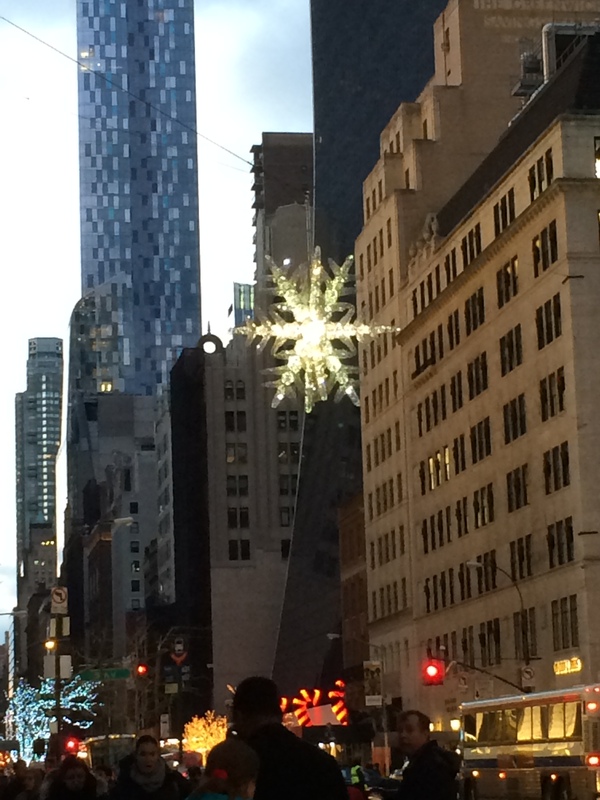 While we didn’t go to Times Square for the ball drop (too crowded and too crazy! ), we did go the next day. The kids ended up on the Jumbotron! 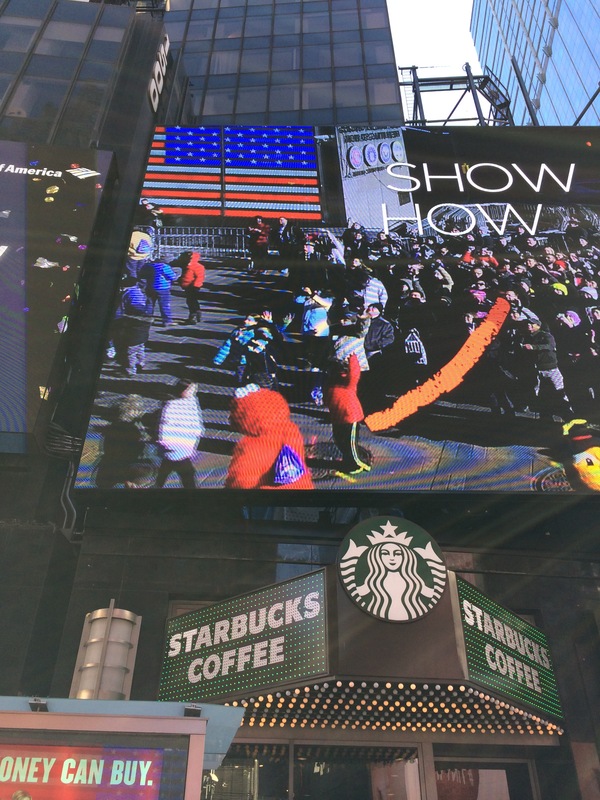 You can see them by Elmo in the red and blue coats. 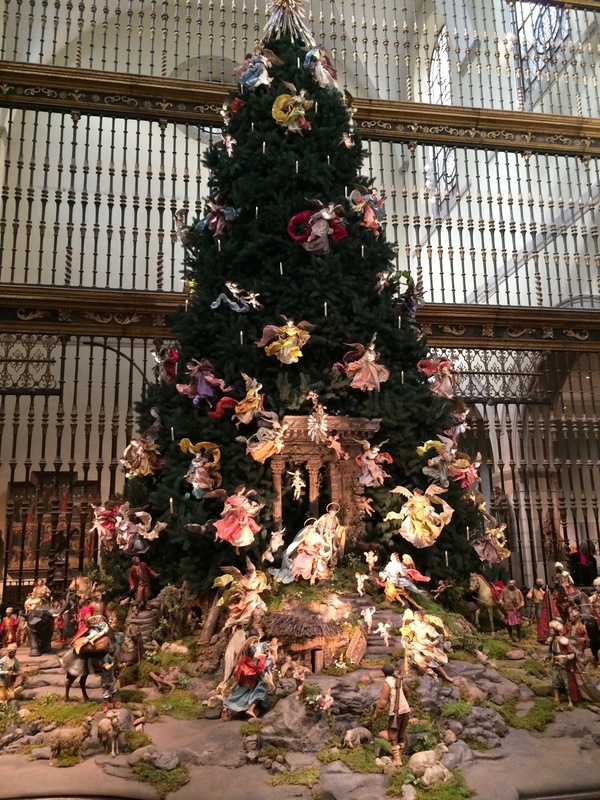 We love the MET ( art museum) and belong there so it’s often a stop. 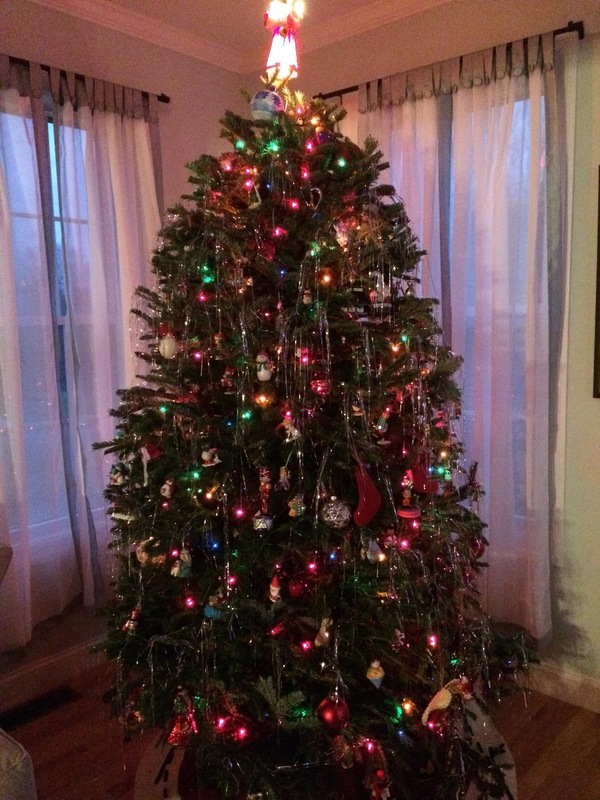 The beautiful Christmas tree was up still. 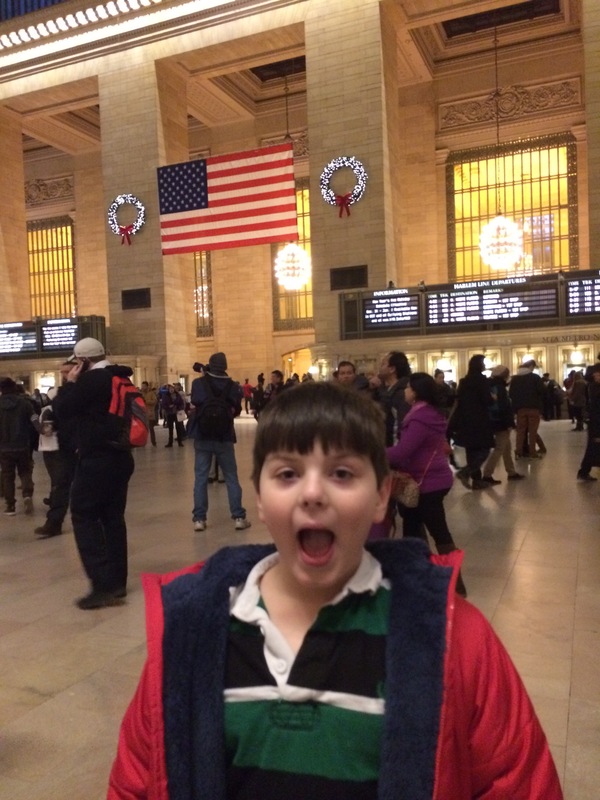 Finally, my son who loves trains begged us to bring him to Grand Central Terminal so that he could see the trains. Pure joy! Saturday Snapshot is hosted by Melinda of Westmetromommy.blogspot.com. See her site for full participation details. Okay – so you might have noticed that my Amazon links are not really looking like links these days. The frustrating thing is that they look fine in my editor – and sometimes even when I preview – but then I see on my blog that they look like broken icons. After extensive research (believe me – I am finding my way through this technology on my own in a “hunt and peck” fashion or with an occasional library book), I find out that WordPress “strips the code” when I publish Amazon images. A plug-in exists to handle this, but apparently it’s not for the free version of WordPress which I use. At the same time I read a looong time ago that Amazon discourages image copying by those who are not affiliates. So – what to do what to do what to do??? I’ve decided to go with the Amazon Affiliate title links and then post a picture off Net Galley (or from wherever I got the book). The cover of the book is really important and you need to see it! Then today I discovered indie bound. I had heard of it (seen it on other blogs) but had no idea what it is. It’s a great website with lots of bookish things, but also another affiliate program where you link people to indie bookstores for getting books. I like the sounds of that, so I applied. I’m a big proponent of indies, but honestly I will never criticize a person for using Amazon because books cost a lot of money and Amazon is about as cheap as you can find them (well, except for the library). So you should see some changes around the ole website. Please let me know your thoughts and feedback. And I apologize for the crummy look of all those broken links. Just another note – in case any of you are thinking I make lots of money from being an affiliate. In the six years I’ve been blogging I’ve received less than $100 in Amazon affiliate fees (and that was only because someone bought a book I recommended and a computer at the same time!). I get like 4 cents when a kindle copy is sold. It’s kind of funny in a way. Maybe the indie program will be more lucrative because heaven knows I spend a lot of money on books! 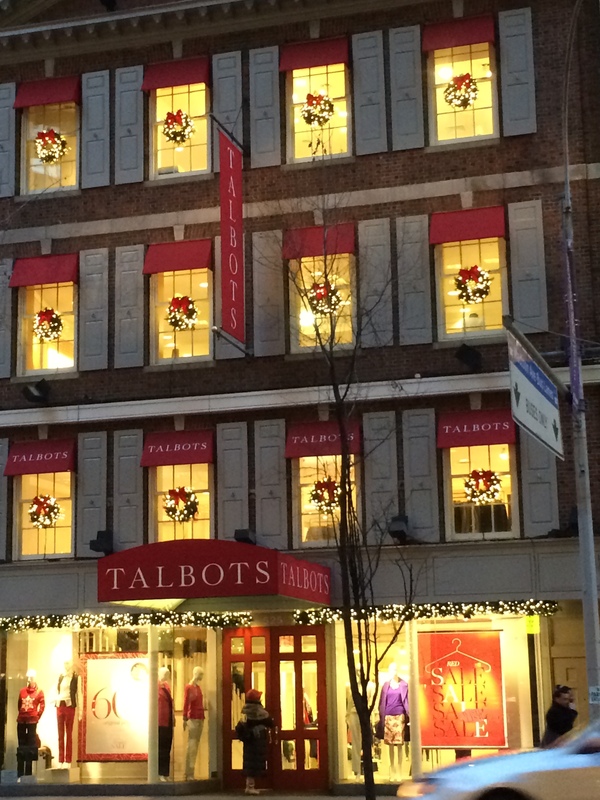 We love this time of year – Christmas! 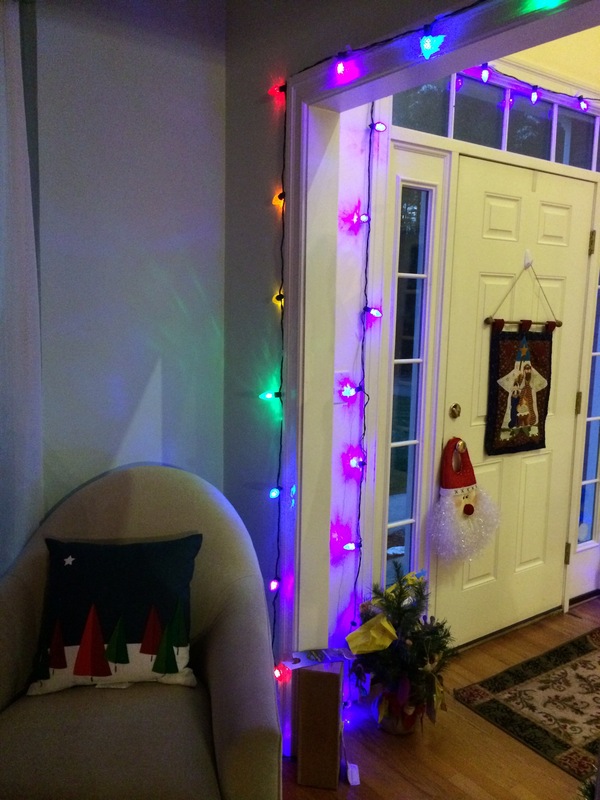 Here are some pictures of Christmas at our house. 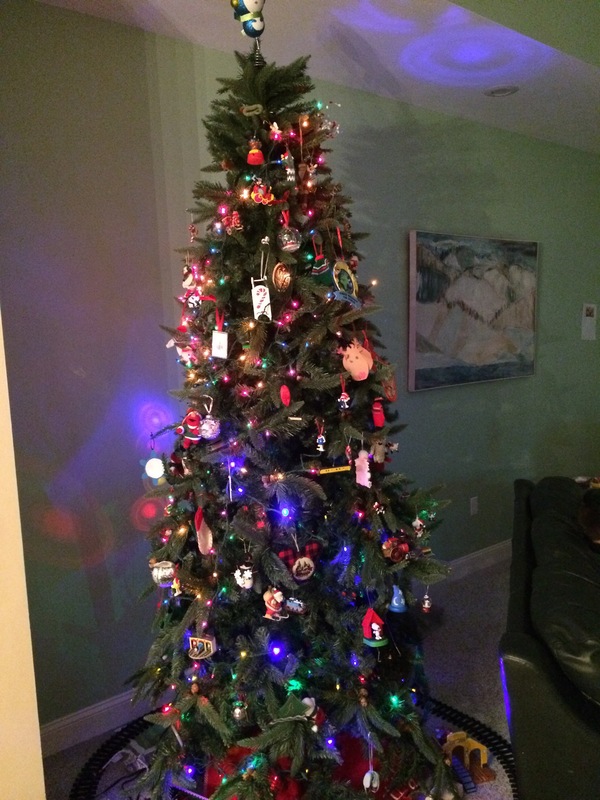 We like to have two trees – a real one in the living room with our family (and breakable!) ornaments, and an artificial one for the kids in the family room with their ornaments. 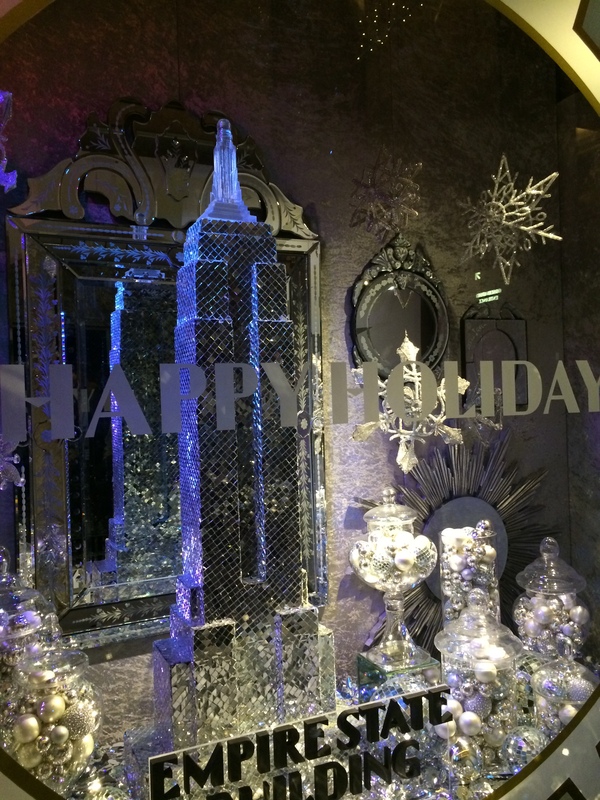 Happy Holidays to those celebrating and Happy 2015! First Book of the Year Reading Challenge! 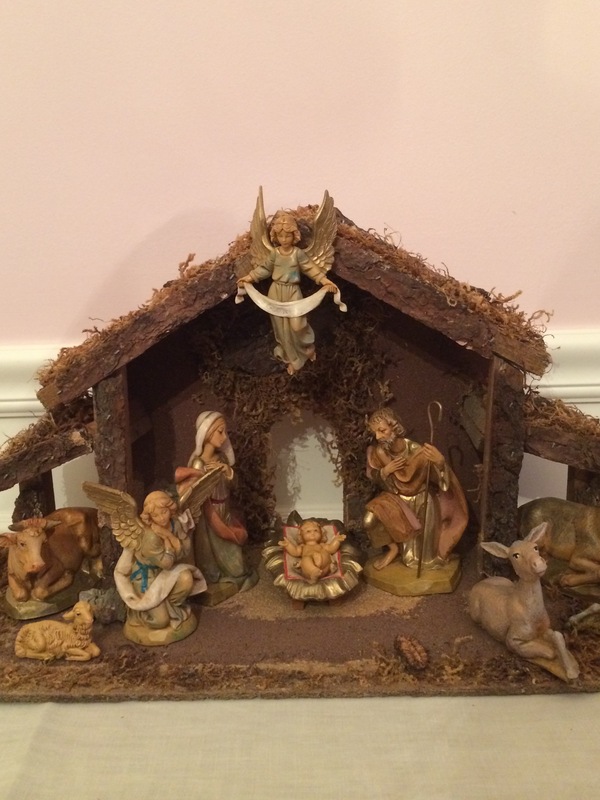 It’s another challenge – again by my friend Sheila from Book Journey. What’s the book you will be reading on January 1st? You can link up with the title and also send her a picture of you reading the book. THE MAPMAKER’S CHILDREN by Sarah McCoy! I love, love, love Sarah’s writing (The Baker’s Daughter) and met her when she spoke at my favorite indie (Concord Bookshop). I am more than excited about this upcoming title which focuses on John Brown’s daughter, Sarah, and her work in making maps for the Underground Railroad, along with a present day woman, Eden, who discovers that her house was once a stop on the Underground Railroad. My friend Sheila over at Book Journey is hosting a challenge that is near and dear to my heart: the 2015 Library Challenge to encourage people to get to know their library better. If you know me, you know I’ve been a HUGE library fan for pretty much my whole life (ever since that auspicious day when I was five and able to get my very own library card). 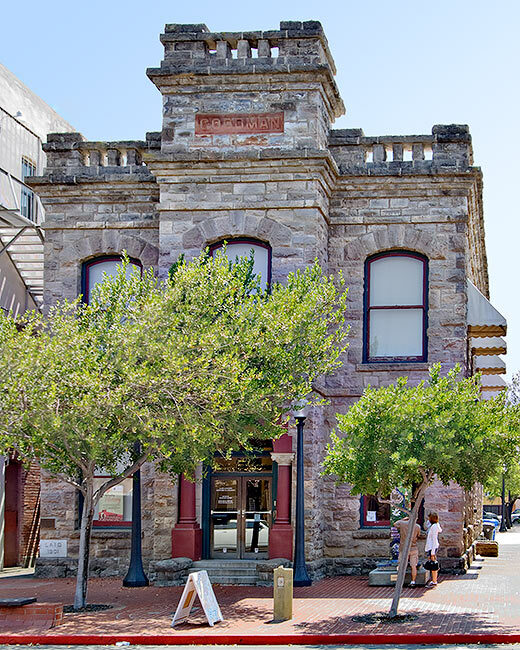 In fact, a quick browse of google located a picture of the historic Goodman Library building in Napa (now a historical society and also recently damaged in the earthquake last August). How I remember climbing those steps in anticipation of what lay within its walls! Anyways — Sheila is encouraging folks to use their library and get to know their library through this challenge. I am a well known face around our small town library, and we are proud of the fact that our family name is one of many etched into the front window as donors for the rebuilding campaign. I use the library for books, DVD’s, books on tape, and to find out what’s new and happening. My kids love the library and use it regularly, too (LEGO club anyone?). 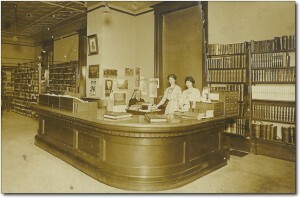 We are members of the “friends of the library”. We love the book sales (and donate to them, too). We are what you call “regulars”. Because of this I am going to say we’ll “Go Pro” and check out 28+ items at the library next year. In the past, before I reviewed books, I easily checked out over 50 books a year, plus movies and CD’s. With all my books to review, along with my kindle addiction, I get less books, but I am still a big user. You tell me – where else can EVERY member of the community go and get something that interests them – and for free? 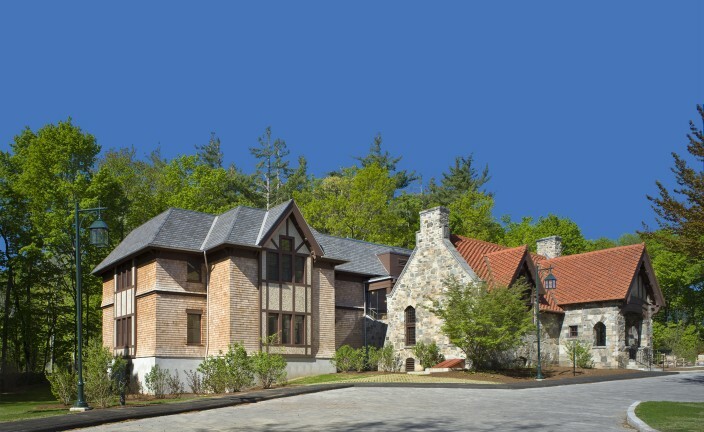 (and one reason we really supported the rebuilding campaign was to make our local library, which was quaint but ancient, handicapped accessible so that it really was for everyone!). So pop over to bookjourney.net and join me in this challenge. Win prizes! Have fun! Celebrate your local library! November was a bit of a tricky month for me, as a lot of what I was reading was for future posts. I started off the month with a review of WE ARE NOT OURSELVES by Matthew Thomas. That’s a read that has stayed with me! 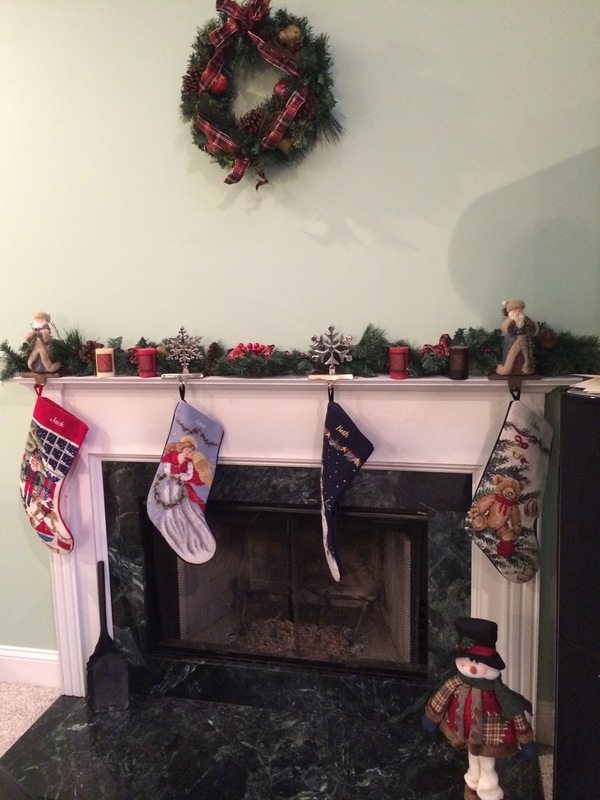 I published my Ho-Ho-Ho Holiday Readathon Goals. I had never done a readathon as I always figure I don’t have enough time. I aimed for three holiday books. Next I was part of the Historical Fiction Virtual Blog Tour for the YA/Children’s book A LITTLE WICKED by Janet Macreery. This is a great little read! On Nov. 4 I review Kara Taylor’s DEADLY LITTLE SINS, the last book in the “Prep School Confidential” series. I love that fun YA series! I listened to the audiobook THE DRESSMAKER by Kate Alcott in the car. 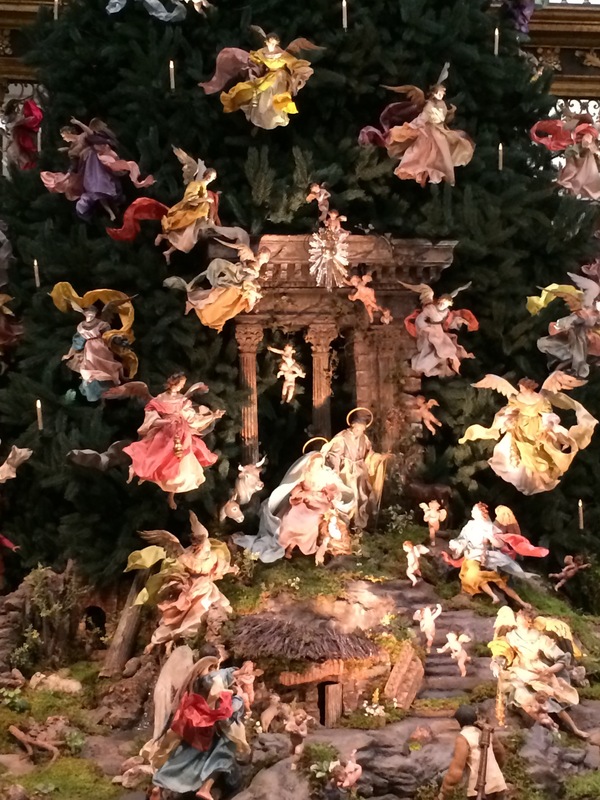 Post readathon, on Nov. 12, I posted a review of the three holiday books I read. (I can’t say enough how fun that readathon was — the Twitter party alone was reason enough to join!). 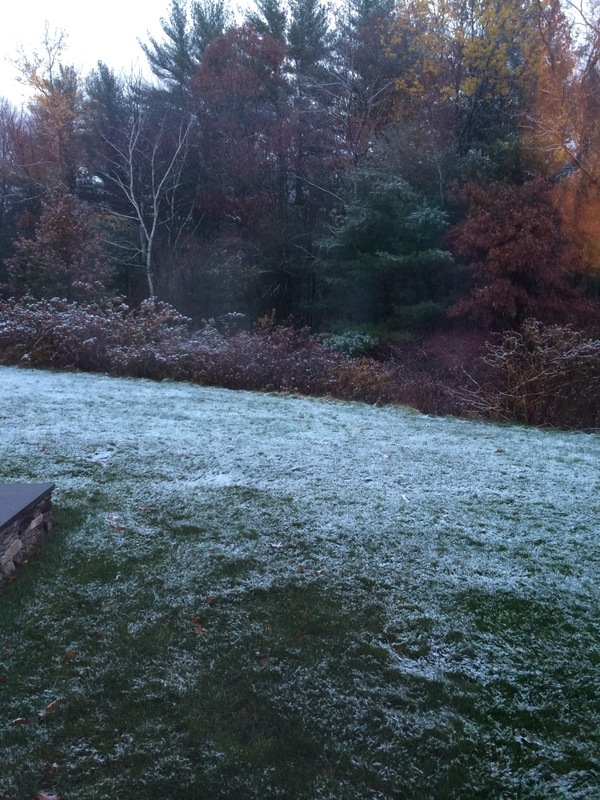 I threw in a Saturday Snapshot of the sprinkling of snow we had. Then I had a break where I was reading lots of stuff for December and January! On November 23 I took part in the Historical Fiction Virtual Blog Tour of SELDOM COME BY by Sherryl Caulfield, a beautiful book – book one in a series. 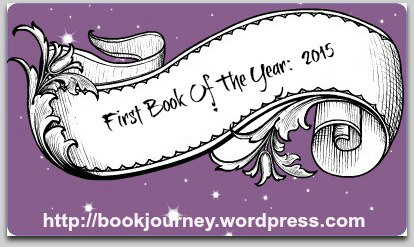 Then on Nov. 28 I posted my FAVE READS of 2014 post (always popular). I also came across (that same day) a whole listing of free holiday books for your kindle and posted a link. Hope you had a great November, too!! While we didn’t get as much as others did, especially in the Mid-West, we did get a dusting of snow yesterday morning and it’s snowing lightly now. It’s really early for it! 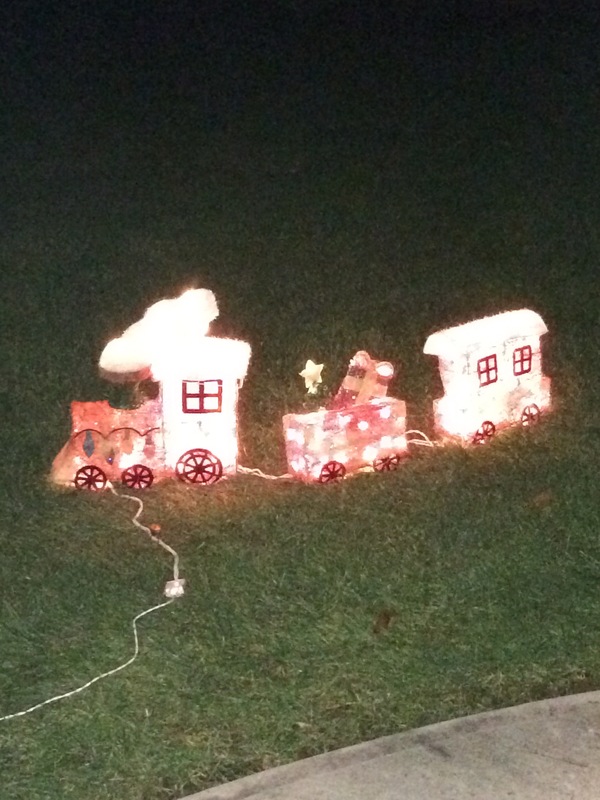 Saturday Snapshot is hosted by Melinda at westmetromommy.blogspot.com. See her site for participation details!